DESCRIPTION: The Castle Combo has it all! 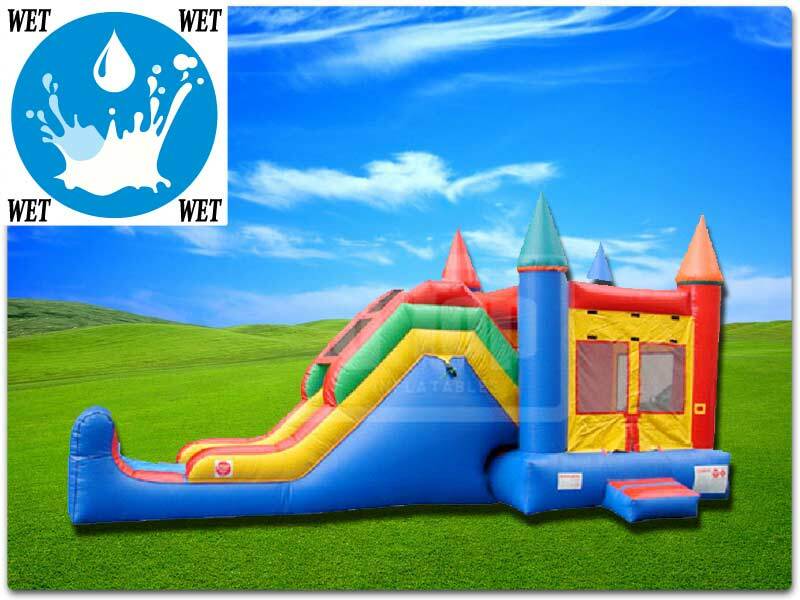 This inflatable combo features a regular size bouncer/moonwalk and a slide with spash pad. Can't decide what kind of inflatable you want? Then choose this inflatable combo and get the best of both worlds!! The Castle Combo is FUN waiting to happen! !